As well as making for a safer environment, Tempo’s streamlined shapes help enhance the feeling of space. The slender, tapering pedestal and a basin bowl that tucks away underneath the rim help to create a discreet overall look. Whatever Tempo delivers in style and practicality, it matches in versatility; the comprehensive range offers a multitude of functional and beautiful bathroom solutions. Tempo is designed to adapt. Tempo adapts to your environment. The variations within the range offer effective and beautiful solutions for the smallest bathrooms and en-suites. Pieces that integrate seamlessly with furniture work harder; squeezing the most out of the space you have. Beautifully, compact, Tempo's thoughtfully conceived, close coupled WC saves space, conceals plumbing and is super-easy to clean. While retaining a distinctive minimal look, Tempo’s softer edges make it the perfect choice for modern families. Free of sharp corners, this is inclusive design for family life where practicality rules and safety comes first. Softness and geometry come together in a harmony of opposites. Tempo softens the minimal aesthetic with gentle organic curves. Whatever Tempo delivers in style and practicality, it matches in versatility. Tempo's vanity basins are designed to integrate harmoniously with the accompanying vanity unit. The level counter top extends beyond the full width and depth of the unit to create a completely unhindered working surface. It's all about inspiring a sense of freedom and providing generous space for you. 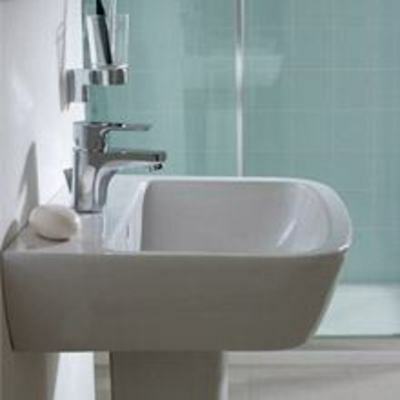 55cm semi countertop washbasin for use with Concept furniture or bespoke countertops. 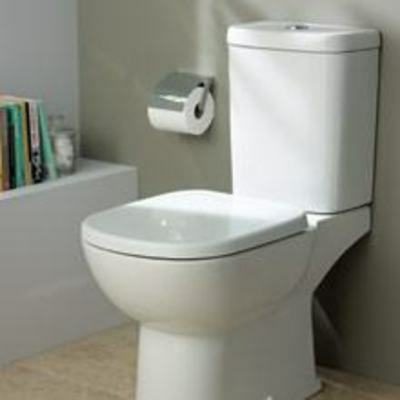 A choice of four WC options – close coupled, back-to-wall or wall mounted; Dual flush cisterns – 6/4 litre or 4/2.6 litre. Slow close seat option. 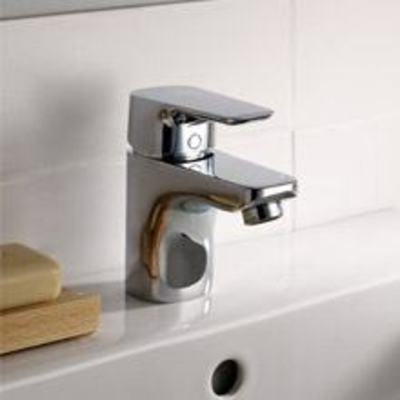 Choice of floor standing or wall mounted Bidets. Our intelligently conceived furniture pieces bring smart, discreet storage to busy bathrooms. With a range of units and integrated ceramics, there’s a configuration to fit any room layout. Neautral, yet unquestionably contemporary, the Sandy Grey and Gloss White finish complement Tempo's sleek contours. The Tempo semi-countertop basin unites furniture and storage in a compact and elegant manner. Hide the cistern in a clever WC unit to match the rest of the furniture in your bathroom. If you dream of a beautiful bathroom it probably doesn't include cluttered surfaces. Tempo storage transforms bathrooms and makes a small room look and feel larger. From the Tempo range includes a mirror in two sizes - 800mm and 600mm. Optional external light fits to the top edge of the mirror. The soft curves of Arc or the linear simplicity of Cube – two subtly different baths complete the Tempo range, thoughtfully designed to meet the demands of today’s bathroom. The Arc bath features a gentle curve, which draws inspiration from the soft arc of the bow-fronted basin. The straight lines that characterise the Cube bath range reflect the strong horizontal linear motifs of the Tempo basin. The additional space provided by the Arc shower bath is softened with a gently embracing curve. The Cube shower bath features an integrated shelf for all your bathing and showering toiletries. 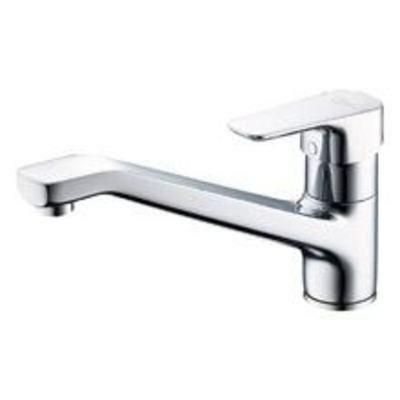 The brilliantly simple solution of centrally positioned taps doubles your bathing possibilities.